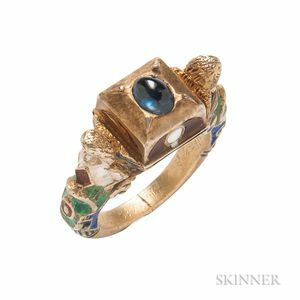 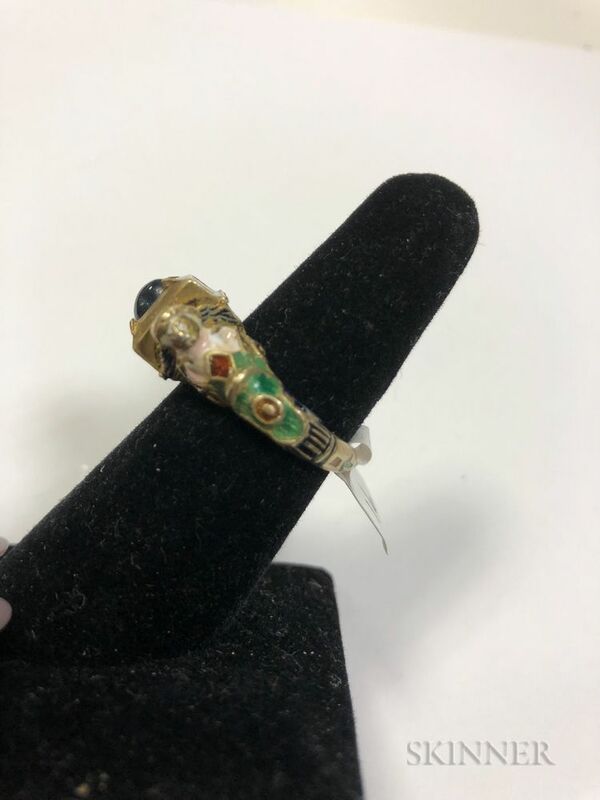 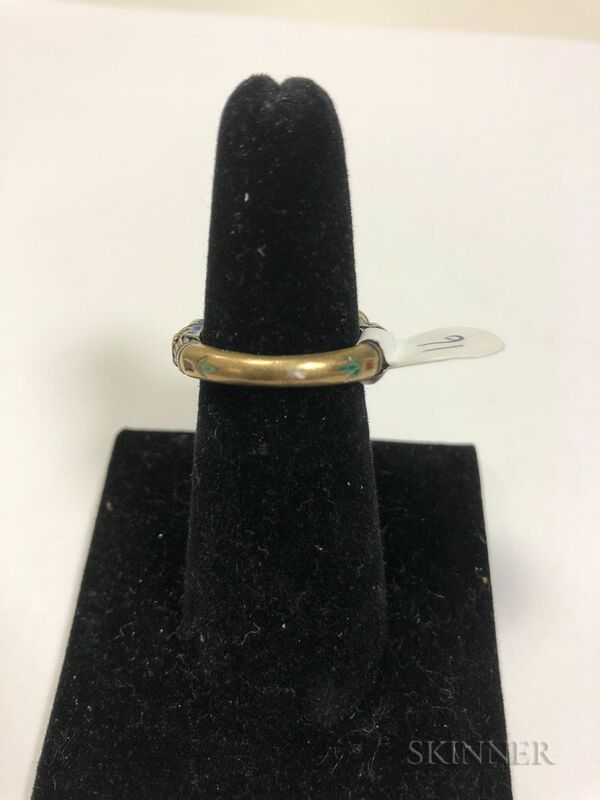 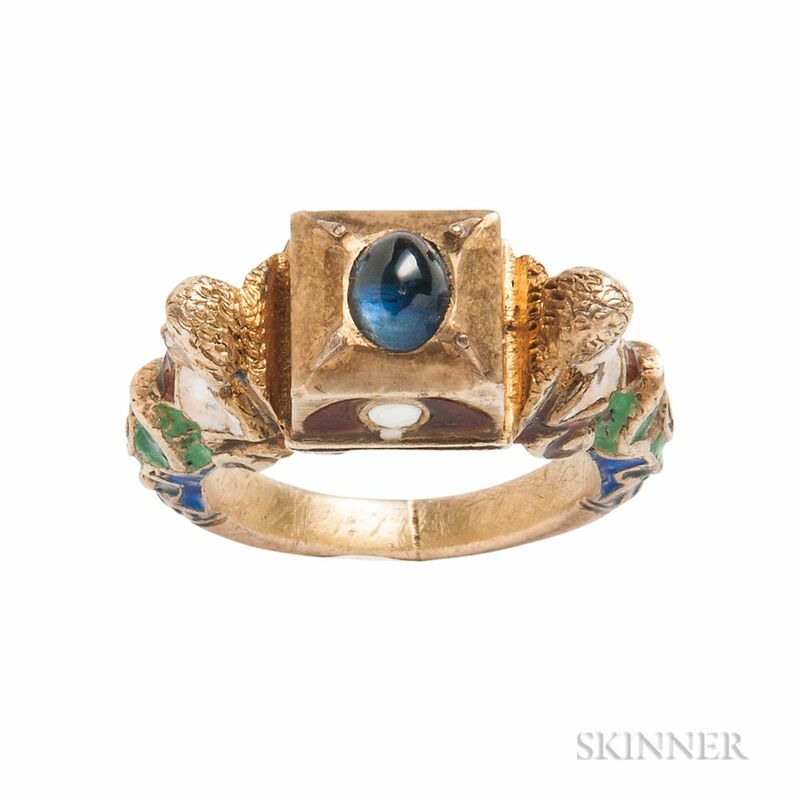 Renaissance Revival Gilt-Silver, Sapphire, and Enamel Ring, set with a cabochon sapphire, with polychrome enamel figural shoulders, size 6 3/4. Small nick to sapphire. 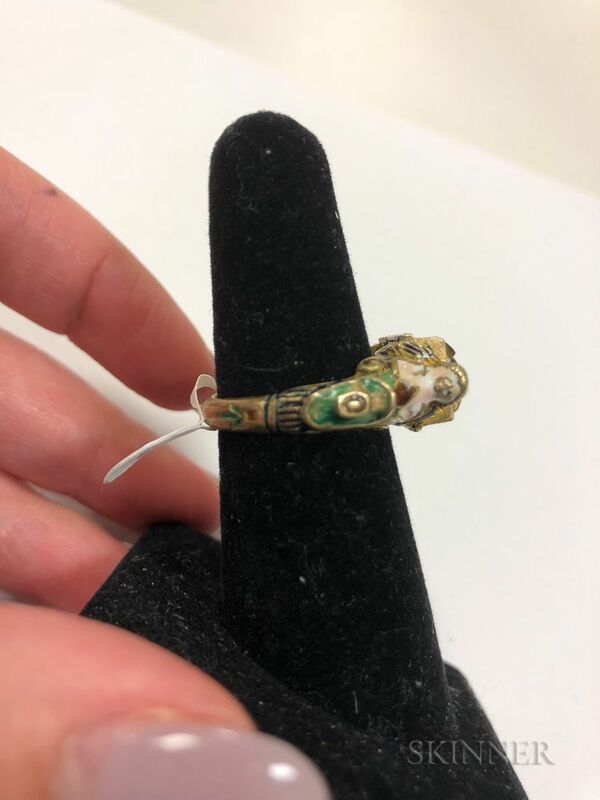 Enamel wear, especially to faces of figures on shoulders.